Dr John Williamson is a retired anaesthetist, who began his medical career as a GP. He currently lives in Melbourne and is an invaluable tour guide at the Geoffrey Kaye Museum of Anaesthetic History, as well as the Shrine of Remembrance. In this post, he recounts some of his adventures working in Muttaburra, a town in central west Queensland, made famous by the discovery of dinosaur bones from the early cretaceous period. Noeleen and I arrived in Muttaburra for the first time in January 1963, with our 7 months old first born. The town is located on the banks of the Thomson River, approximately 120 kilometres (75 miles) north of Longreach and 84 kilometres (52 miles) north of Aramac. I was to replace Dr Fred Bennett. We came down the long, lonely, 400km unsealed road in mid-summer, in our ignorance, in a VW “Beetle” plus trailer. We called in at “Thornton”, a remote property en route, to make sure we were not lost! I was fulfilling the terms of a Queensland State Government Fellowship in Medicine and Noeleen and I would spend the next 3 years in Muttaburra. 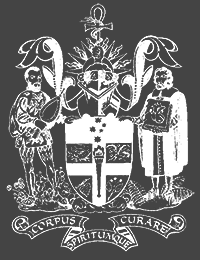 My appointment was “Medical superintendent with right of private practice” and my direct “boss” was the then Director General of Health in Brisbane, the late Dr Abraham Fryberg. 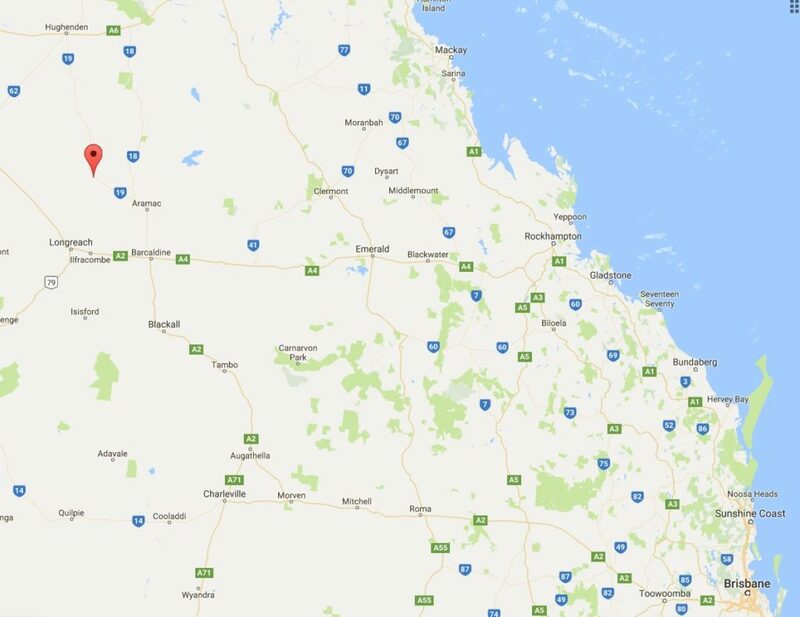 Muttaburra town itself was about 350 residents then, but the medical practice area was some 6000 surrounding square miles (approx 15,540 sq kms) of sheep grazing properties. The population swelled with teams at shearing time; also kangaroo shooters and their small families, living in their cars, came and went too. Muttaburra’s historic significance is noteworthy, on the mostly dry Thompson River, near the path of a Leichhardt expedition (a scored tree). The district and nearby Bowen Downs property shared in the famous but tangled story of the bushranger “Captain Starlight” (said to be Henry Arthur “Harry” Redford, but really the bushranger Frank Pearson) and the white bull that Starlight duffed and which was recognised in the Adelaide cattle sales later. A barren, isolated large hillock just outside Muttaburra was reportedly Starlight’s lookout, during his subsequent pursuit by police troopers. During my 3 years, the Matron of the Muttaburra District Hospital (which is now a museum) was the truly wonderful, inspiring “Bush Matron”, the late Sylvia Bignell. I owe this lady more than I can tell and have carried her memory all my life with affection, gratitude and great respect. She taught me so much (remember, I was fresh out of medical school). One quickly learned that when Matron Bignell was concerned about a patient, one needed to be too! She also taught me how to administer an open ether general anaesthetic safely and properly. Australians all, but especially country folk, remain forever in debt to the many isolated country hospital bush nurses (“bush matrons”) like Sylvia Bignell. During many years in Muttaburra (and probably elsewhere in the west) the graziers, and if my memory serves me, some of the business and private townspeople also, collectively and generously subsidised the salaries of the hospital nursing staff, thus attracting an adequate number of qualified nursing staff from widely differing backgrounds. But for this generosity we would have had chronic nursing shortages. Most of the girls enjoyed the life there too. Some of course happily found their life’s partner among the young graziers and are married women with grown family descendants there to this day! An early and big lesson for me! My first patient, the morning after our arrival, was a racehorse yearling, the foal of a Caulfield Cup winner no less! It belonged to our good friend, the late David Seccombe on “Kenya”. I soon learned that the principal requirement for large animal veterinary practice was the anaesthesia. The young horse had collided with a barbed wire fence and torn strap muscles on its chest. David was not unreasonably concerned for its racing future. Now I knew nothing about veterinary anaesthesia at that stage. So I gave an intramuscular injection of a very large dose (estimated horse body weight calculations) of what I thought at the time was a modification of a “Brompton cocktail”, namely a mixture of pethidine, promethazine and chlorpromazine (the clinical people will recall what was actually in that original, “time-honoured!” mixture). What happened? Absolutely nothing! So I repeated the dose. Still nothing after a further 30 minutes! The horse then went to sleep! Thank goodness it finally awoke, happily without pneumonic complications, after I was back in town! However the animal promptly rubbed my skin stitches out on the nearest fence post. It also had a bruised fetlock, sustained from the wrestling to the ground, while my pathetic “anaesthesia” was still not working. David never called me again for that animal, but typical of his class, uttered not a word of condemnation (perhaps a subsequent jest or two though! ); and he and his wife Bebe became great friends to Noeleen and myself. I did not at all fancy dealing subsequently with retained broken molar tooth roots, lacerated and bleeding tongue and gums, or possible mandibular bony injury and airway compromise, especially in an inebriated patient with a full stomach! My appreciation and use of the mandibular local anaesthetic block technique has remained with me all my subsequent clinical life. And, also the amateur chemist, with valued guidance from the Aramac Chemist of that time, Mr Hadgraft. My last patient, the day we were departing in 1966, after handing over to a colleague, the late Dr Peter Goy, was Joe McMillan’s cow in obstructed labour.